To ensure that you receive full satisfaction from your time spent with us, all your beauty and holistic treatments are carried out in a private room. You can expect complimentary advice as part of our service together with a friendly, relaxed atmosphere. Gift Vouchers are available on request and we also invite all clients to take advantage of our free wifi. 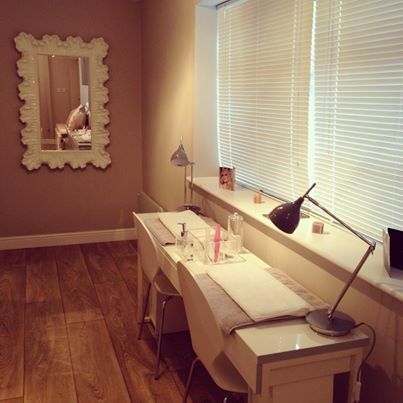 Incorporating a hand bath, nail shaping and cuticle minimising. You will then receive a hand and arm massage before application of your chosen polish. Revitalise your hands by incorporating a hand bath, nail shaping, cuticle minimising, exfoliation, warm nourishing masque, hot towels and heated mitts. You will then receive a hand and arm massage before application of your chosen polish. Incorporating a foot bath, nail shaping and cuticle minimising. You will then receive a foot massage before application of your chosen polish. Indulge in the tension releasing foot treatment and you will feel thoroughly pampered. After a warm relaxing foot bath the nails are trimmed and shaped, cuticles are minimised and feet are exfoliated. Lay back and relax whilst a warm masque and heated boots are applied, warm towels will be used to remove the masque and you will then receive a relaxing foot massage before application of your chosen polish. This special treatment will leave your feet looking and feeling wonderfully groomed. Note. It is advisable to bring open toed footwear to pedicure treatments. When time is of the essence you will welcome this express treatment.Your chosen polish will be applied after receiving cuticle work, trimming and nail shaping. This revolutionary product applies like varnish and wears like gel giving a flawless finish in a wide variety of colours. This treatment is perfect for clients who are wanting to achieve a more dramatic look. A high quality fine glitter is encased within the Shellac layers to give a stunning eye-catching result. This treatment is a great alternative to nail polish, Unlike traditional nail polish minx is made of flexible film and is applied and removed using only heat and pressure. Your therapist can create a metallic or matt look, patterned or plain and have a wide variety of designs to choose from. Warm wax hair removal is effective in removing unwanted hair. Your therapist will take the utmost care to ensure this essential service is carried out with complete sensitivity. Using a choice of two popular brands it is possible to achieve a natural looking glow without the health risks associated with the real thing. Our skilled therapist will offer you a consultation to determine the perfect tan to suit your needs and will provide pre and post tanning advice to help you get the most from your tanning experience. These incredibly popular enhancements can re-shape the face, giving definition and bring a brighter aspect to the eye area. This is a 7 step eyebrow shaping treatment that focuses on design. They are tailored to suit each individual and can be made dark or light, thick or thin, sharp or soft. The choice is yours. This low maintenance, completely natural treatmentis designed to add length, volume and lift your natural lashes without the use of extensions or harsh perming techniques. This treatment is perfect for nights out and short breaks. 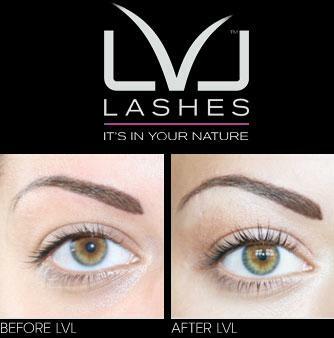 Each party lash is placed on a few natural lashes at a time giving a full flattering look. Professional removal by your therapist is recommended which is included in the price above. Swedish massage stimulates the skin and nervous system. It removes stress both emotional and physical and is suggested in a regular program for stress management. This treatment is a simple and safe method of removing excess wax, infections and residuals of past ear infections.It soothes nervous tension, regulates pressure which in turn aids migraines and sinus problems. A pressure point facial massage is included with each session. This treatment a relaxing foot massage which encourages the free flow of energy around the body, it stimulates the release of endorphins which are feel good hormones and natural pain killers. It aims to release toxins, increase energy levels and maintains healthy immune system. It also aims to improve mental alertness.